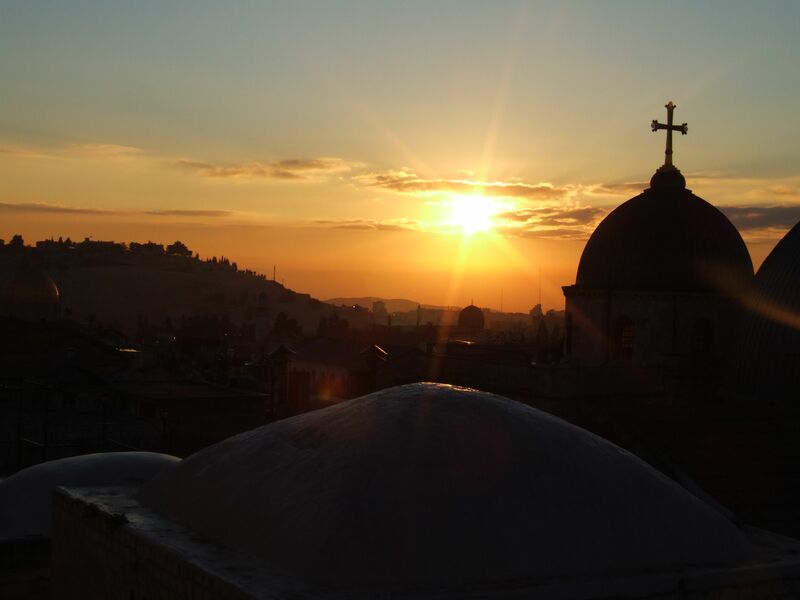 Founded in 1217 by St. Francis of Assisi, the Custody of the Holy Land has been the guardian of the Holy Sites in the name of the Catholic Church for the last 800 years. Pontifical recognition gave the Franciscans numerous responsibilities: to be, at once, at the service of the local church as well as the universal church—in other words, to inhabit the Holy Places in order to receive pilgrims and to take care of the local Christian communities. 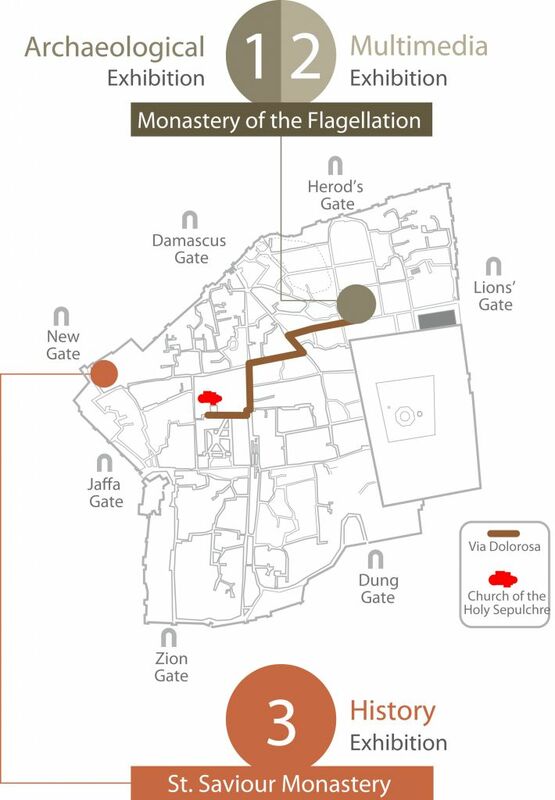 Today, the Franciscans of the Holy Land continue to fulfill their mission, and they wish to give pilgrims, local churches, Jews, and Muslims the opportunity to discover the roots of Christianity and its holy sites, witnesses to the life of Jesus. 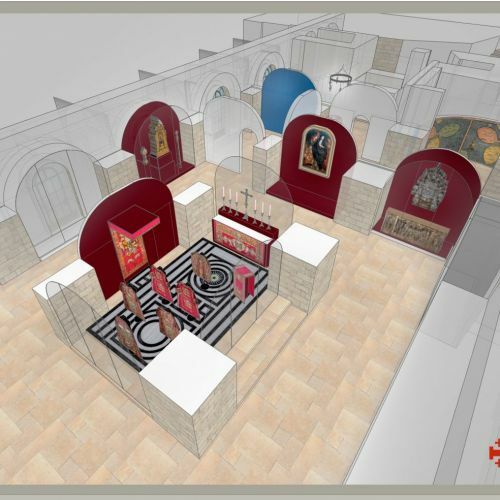 Thus the project of the Terra Sancta Museum was born. 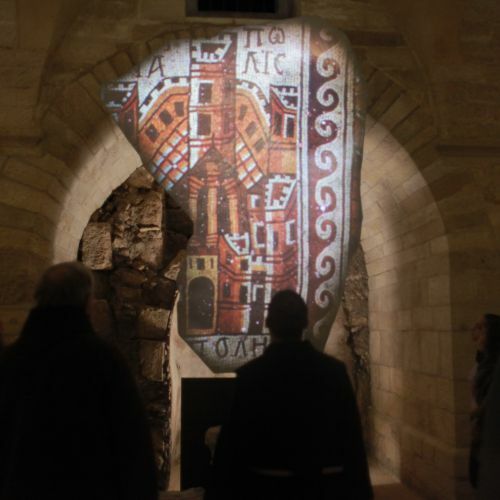 Its ambitions are grand: to exhibit— in the heart of Jerusalem’s old city—the spiritual, archaeological, and artistic heritage of Christianity, preciously conserved by the Franciscans over the last eight centuries. 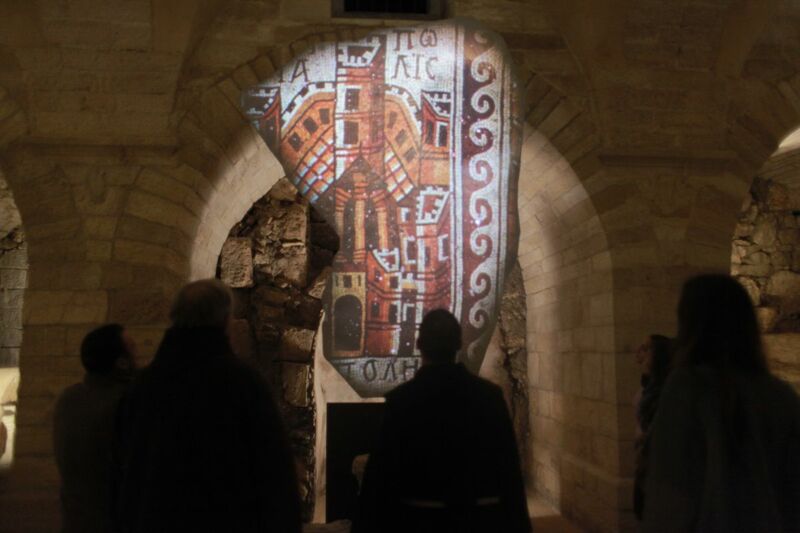 – Multimedia: 2000 years of the history of Jerusalem retraced in an all-immersive exhibit. 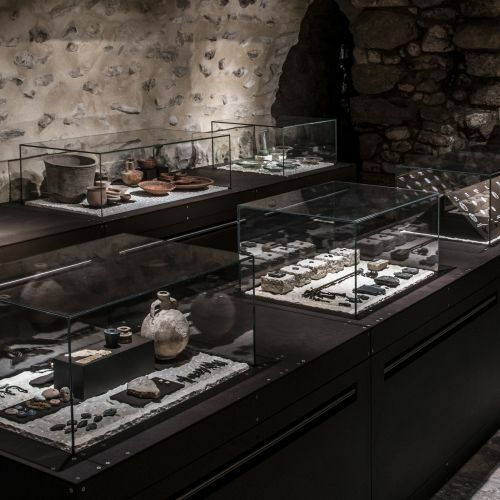 – Archaeology: objects recovered from the places mentioned in the Gospels. 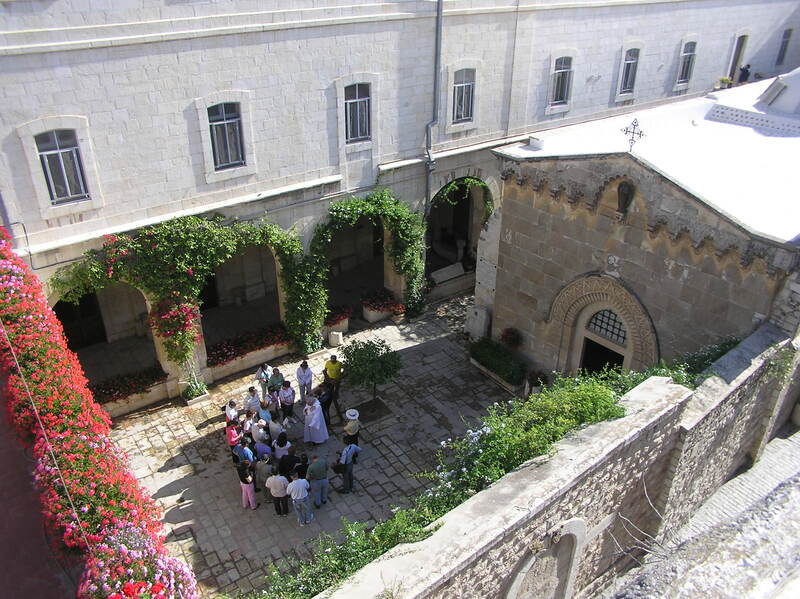 – History: the gifts of Europe’s royalty to the Holy Land. 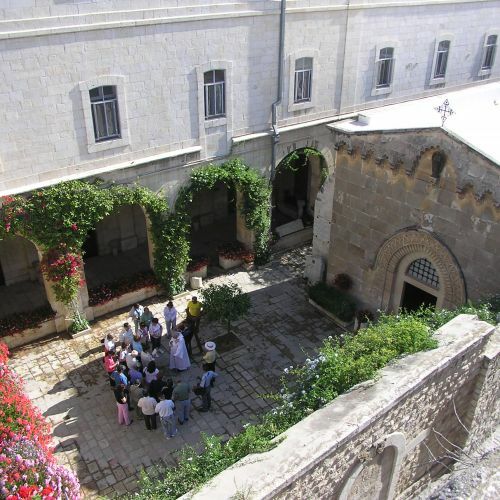 Two Franciscan compounds of the Custody of the Holy Land—the Convent of the Flagellation and the Convent of St. Saviour—have been chosen to house these sections. 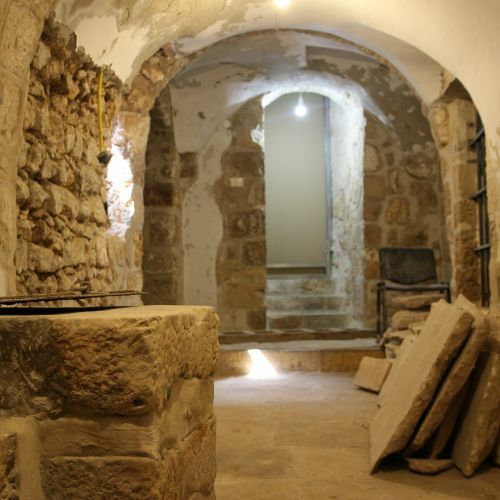 These compounds are themselves historic sites, of which some of the most ancient parts—Roman, Byzantine, Crusader—are near the principle destinations for pilgrims and tourists in Jerusalem (the Holy Sepulchre, the Via Dolorosa, the Temple Mount, the Wailing Wall, etc.). For the moment, only the multimedia section is completely open to the public. 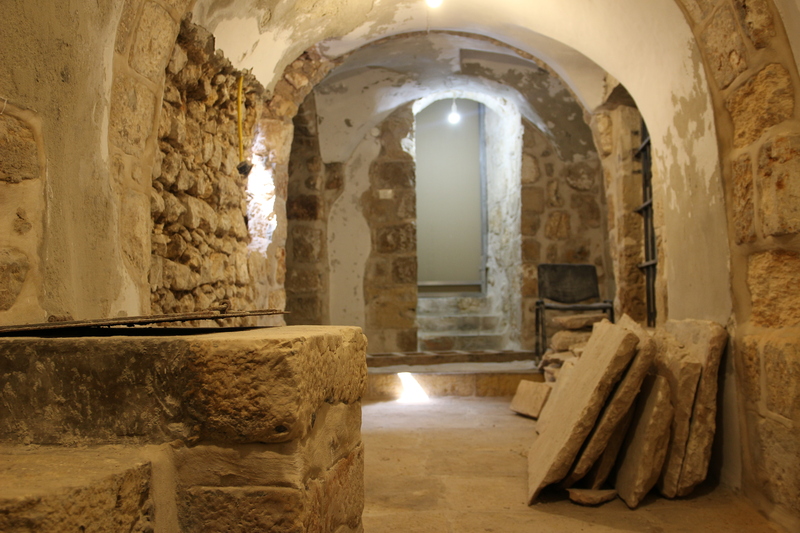 Half of the archaeological wing and of the historic wing are still under construction. 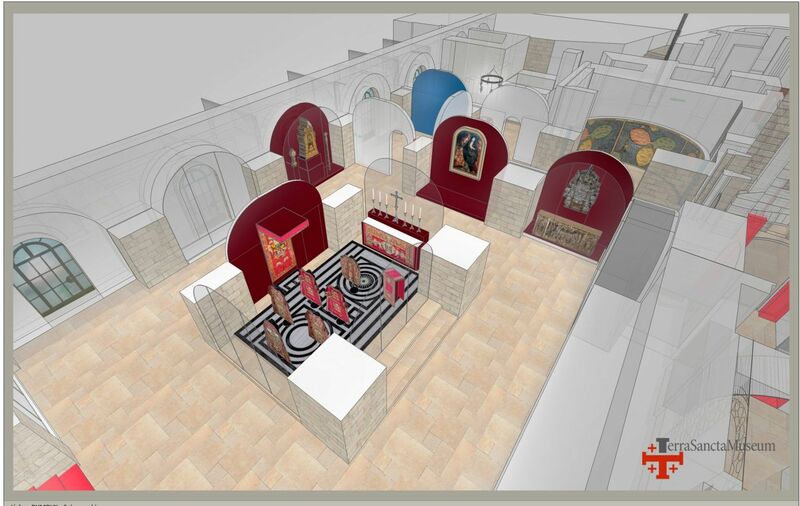 Find all of the updates about the building of these two sections by clicking here! If you wish to support this project, click here.